The view from the 44th floor of the Grosvenor House Dubai was pretty special. To the right was the famous Palm, to the left was the marina, and straight ahead was the Arabian Gulf, miles of it. On the other hand, the cocktail and the piece of sushi that was in front of me didn’t look to shabby either. It’s early evening and happy hour in the hotel’s club lounge, and I’m therefore a very happy person indeed. 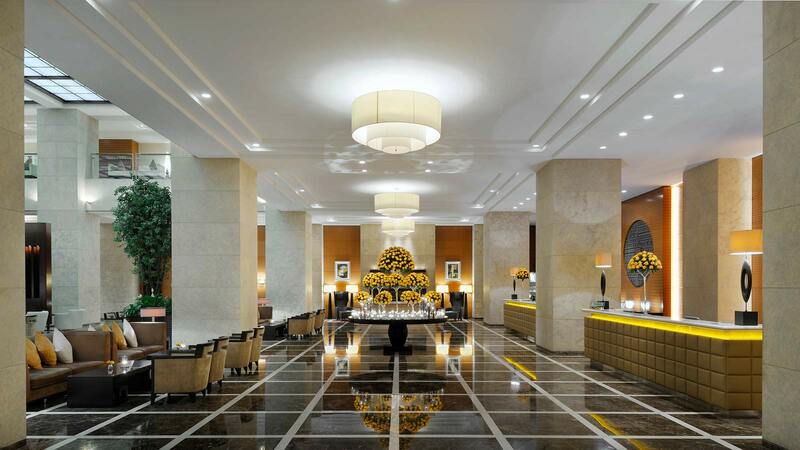 The Grosvenor House Dubai, towering 45 floors above Dubai’s marina, has for me, redefined luxury status. It has unashamedly raised the bar to a height that would scare the living daylights out of many hoteliers in spite of all the redevelopment madness that’s going on around it. This is of course a mere temporary distraction because once tucked away inside its welcoming cocoon, The Grosvenor House has more than enough of its own longer lasting distractions on offer. The service standards are impeccable and there will be something to tempt your palate in one of its 12 restaurants and bars. Perhaps you’ll plumb for Ottoman’s offering a modern take on traditional Turkish cuisine, or Michelin Star winner and Chef Patron Vineet Bhatia brings traditional Indian cuisine to Indego. Actually, breakfast was a real dilemma for me just having to choose which restaurant to eat it in. 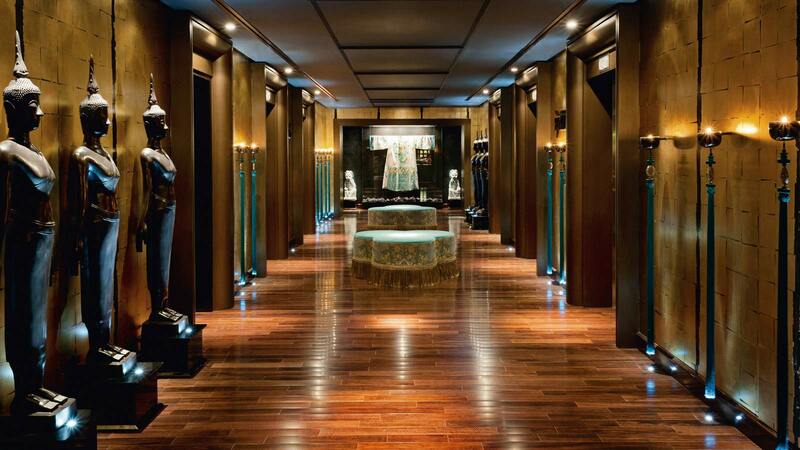 And no less than a complete floor is devoted to wellness and beauty. This is a very impressive area. Whether you’re into Turkish mud treatments, Balinese massage, hydro therapy or just a good old fashioned sauna and steam, you’ll find it in here. There’s also a nail bar, hair salon and men’s grooming lounge. But there’s still more. 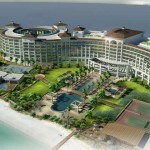 A full gym and a luxurious outdoor pool area complete the whole package. Wellness is big business these days. It’s a serious matter for many people and needs to be well presented by trained therapists who understand their craft. My therapist had been qualified for over 12 years and still insisted that I fill out a questionnaire on his performance following my session. I found the focus here predominately corporate, although half of this property is private apartment accommodation. But when the business is wrapped up and you feel the need for something a little lighter, you can pop over to the nearby sister hotel Le Royal Meridien Beach Resort and Spa and use all the facilities there. In fact both of these properties are lorded over by the highly influential Pam Wilby whose signature approach to training and service standards is evident everywhere you look. There is a real feeling of attention to detail and intimacy here that can be so easily overlooked in a large hotel environment, and that’s quite an accomplishment. 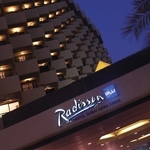 If you’re in Dubai on business you’ll find The Grosvenor House Dubai the perfect partner. 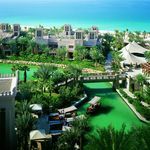 On the other hand, if it’s a haven of tranquillity you’re after, that’s child free and oozes luxury from its very pores, then the Grosvenor House Dubai will coming running to the rescue. 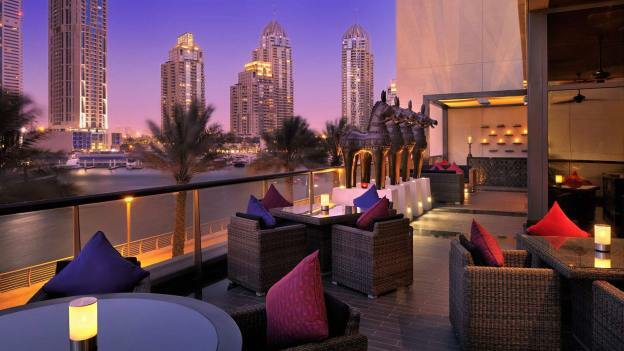 I want to stay at the Grosvenor House Dubai. How much is it? Deluxe King bed room with butler service and breakfast from £189 plus taxes per night.